With a couple of double headers taking place on Tuesday and Lansing @ Bowling Green getting rained out, there were nine games in total on the Midwest League slate. 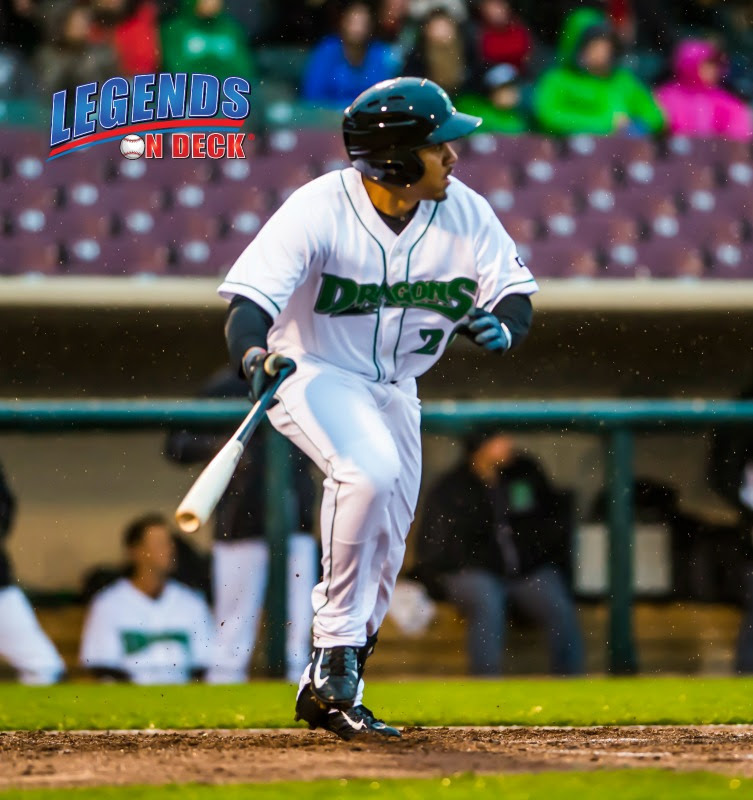 Pitching was the story yet again in the MWL as only three teams in the nine games scored more than five runs. Both starting pitchers were very good in this one as the game remained scoreless until the top of the sixth when Blaise Salter got the scoring started with an RBI double. Elvis Rubio would score on an Austin Athmann fielder’s choice, but those two sixth inning runs were all West Michigan (3-3) was going to push across. Dayton (4-2) would put up one in the seventh then take the final 3-2 lead on two separate sacrifice flys in the bottom of the 8th. Burlington (2-3) used three pitchers over the course of the seven inning game to shut down the Wisconsin (3-3) bats. The Timber Rattlers looked poised for a big inning in the bottom of the first, but managed to put up only one run on a Ronnie Gideon sac fly which would also be the end of their scoring in game one. Jahmai Jones had a two RBI night including a solo homerun to tie the game up in the fourth. Game two was tied at one a piece going into the decisive seventh inning. Burlington put up two runs in the top half of the frame on a Jordan Serena double. Wisconsin would answer back in the bottom half of the inning when Ronnie Gideon smacked a double of his own to clear the loaded bases with two outs and send the Timber Rattlers home with the game two win in dramatic walk off fashion. Another pitching battle, game two was scoreless through four innings until Tommy Edman singled in a run in the bottom of the fifth for the Chiefs. They would take a 2-0 lead into the top of the sixth where the River Bandits would quickly tie it up at two a piece. That was it for the scoring until Edman struck again in the bottom of the seventh with a walk off RBI single. After a 5-0 start, Kane County (5-1) dropped their first contest of the season thanks in large part to the pitching performance by Cedar Rapids (3-3) pitchers Tyler Beardsley and Brady Anderson. Despite committing an unsightly five errors in this one, Lake County (3-3) managed to squeak out a win over Great Lakes (1-5) who could only muster four hits on the night. Logan Ice and Li-Jen Chu both homered for the Captains in the victory. We had a 2-2 tie in this one until South Bend (3-3) blew it open with a four run seventh inning. They added one more in the eighth and never looked back. The big seventh inning was highlighted by a Luis Ayala RBI triple. That was the only run scored with less than two outs in the inning. Fort Wayne (2-4) threatened in the third, but only managed to push across one run due in large part to an outfield assist by the Cubs centerfielder D.J. Wilson where he threw out Marcus Greene Jr. at home. Clinton (2-4) would score all 5 of their runs in the first four innings of this game and it would turn out to be enough. Beloit (2-4) reliever Brendan Butler went 4 ⅓ and did not allow a hit or a walk while striking out nine. At that point it was too late, the damage had already been done and the Snappers could not get the bats to wake up and match the Lumberkings early lead.